NATIVE SILVER!!!!! 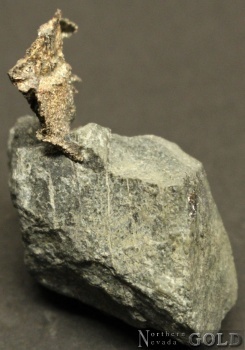 Crystallized Silver leaf specimen from historic, Cobalt, Ontario, Canadian mines. Small piece, exhibits bright silver metallic luster, curious character. Trace Sphalerite? ?.